With a little free time over the holidays I've finally been able to rework some of my old designs and start on some new ones. 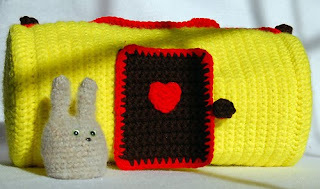 One of the designs that I've been stewing on for some time now is an amigurumi pet carrier. I've been making a ton of dust kittens lately and got to thinking that the discerning dust kitten on-the-go would need proper accommodations - especially with all the holiday travel going on! And viola! 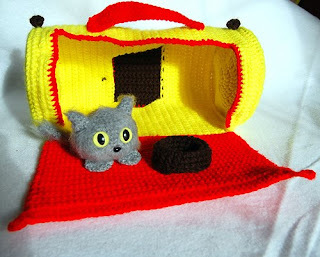 the amigurumi pet carrier idea was born! The carrier is essentially a cylinder with a recycled CD at either end to keep its shape. On the front of the carrier, I've added a working amigurumi-sized door (my prototype design even has a little heart decoration). 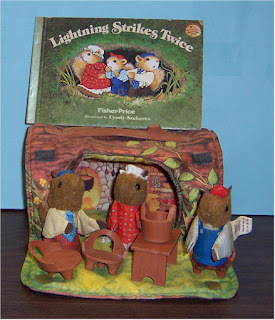 The back side had a large flap that can be rolled up for travel or laid flat for play. 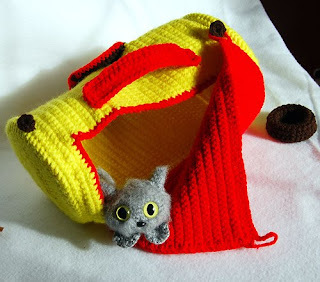 I still have some tweaking to do on the pattern, but I'm hoping that the amigurumi pet carrier will be my first release of the new year! 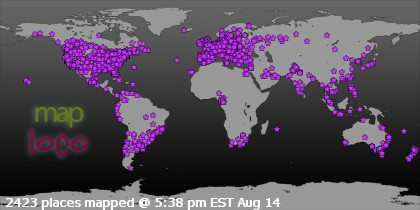 I am really very impress on your blog article. I like most cylinder carrier design, its looking really very nice.